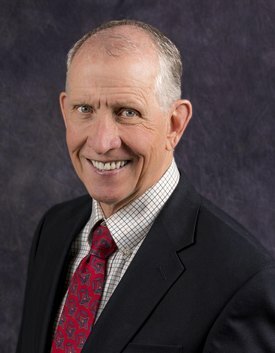 James R. (Jim) Belcher is Of Counsel in the firm’s Casper office. His practice areas include energy & natural resources, bankruptcy & creditor/debtor rights, banking, and real estate transactions. After a 13-year career as a commercial banker, Jim attended law school and began practicing law in 1988 in Wyoming. In his financial practice, Jim represents lenders in large commercial and real estate financing transactions, judicial and non-judicial real estate foreclosures, collection litigation, state and federal receiverships and bankruptcy matters. Jim represents commercial banks, large and small, in all facets of banking and is legal counsel for the Wyoming Bankers Association. Jim represents both lenders and borrowers by rendering financing opinions for energy, real estate and business financings of all types, including equipment leasing, oil and gas, coal, real estate and wind power projects. He assists corporate, partnership and LLC clients with mergers, acquisitions and reorganizations. These transactions include rendering local counsel opinions in large transactions. Jim has extensive experience in assisting energy clients with surface owner agreements and dispute resolution. He drafts surface use agreements and litigates condemnation, surface access and injunctive actions to obtain the right to develop minerals. Jim assisted a pipeline client in obtaining a complete defense judgment in a breach of gas purchase agreement litigated in Wyoming State Court in a week long bench trial, which was affirmed by the Wyoming Supreme Court on appeal. Jim drafts and evaluates construction contracts and litigates commercial construction lien disputes and disputes arising from oil and gas operations. Jim has extensive experience in resolving mechanics’ and oil and gas lien claims. In his real estate practice, Jim assists clients in purchasing, selling and financing transactions and real estate developments, that include easements, water rights, utilities, permitting, and covenants.